Round mother f**king two. I wrote this post, went through it, edited it, spell checked it, proof read it, one minor thing I forgot to do was save it. Sorry about the delay! Now on to the skincare. Firstly I'll give you a round up of my skin type and skincare history. I am 26 and have normal skin, I am quite lucky as have never had overly oily or dry skin. Occasional hormones can knock it out of kilter but in general my skin is happy and fairly well behaved. I do try to drink lots of water which I also believe helps. I have always had a good skincare routine no wipes ever grace this face. 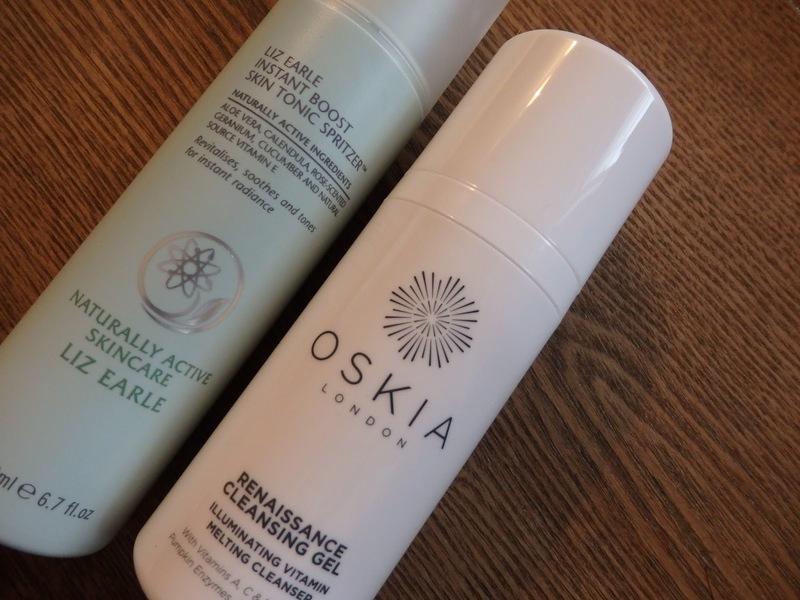 My cleanser is the Oskia Renaissance Cleansing Gel. I am on my third bottle of these and it is love. My backup staple cleanser was always the Liz Earle C+P but over the past year this has truly made its mark. I have strayed away and tried others but I have always returned to this. It is a silky balm that comes out in a gel like consistency that turns into a decadent rosey oil. I remove this with hot flannel when removing make up and splash off in the morning. The toner has been in my beauty arsenal for over 10 years now. The Liz Earle Instant Boost Skin Tonic is simply perfection. It hydrates with an aloe base and smells bloody beautiful. There really is no need to use anything else, the best part is it has a spritz.Winner. Eye cream is the next am & pm step and for this I use my tried and trusted Kiehl's Creamy Eye Treatment With Avocado. This is a no fuss no frills no promises eye creams. It simply delivers hydration and so far keeping any premature crow's feet at bay. I then apply my go to serum. This has been repurchased twice. 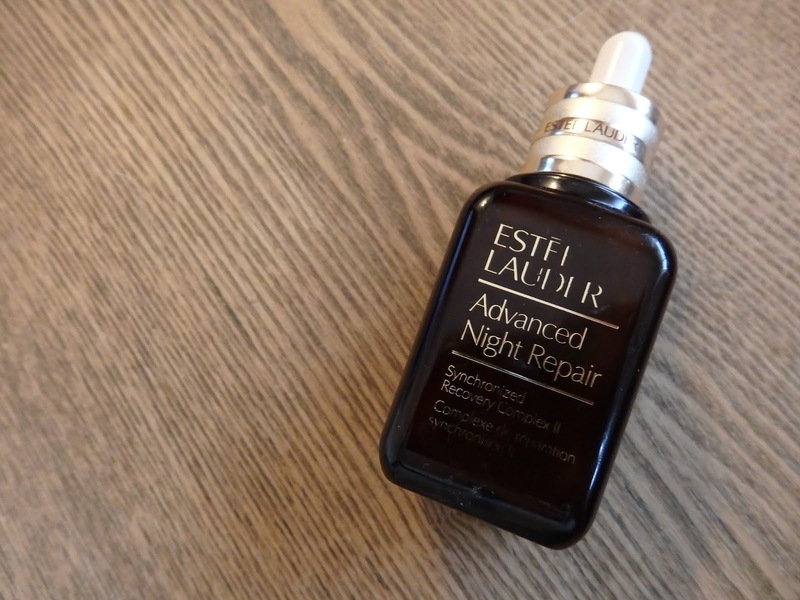 The Estee Lauder Advanced Night Repair. I actually use this morning and night because I am just cray like that. Also it keeps my skin looking and feeling smoother, plumper and younger. It also helps reduce blemishes. It's a cult product for a reason ladies. Now this is where things change, all of the above I use am & pm, the only thing that changes is my moisturiser. 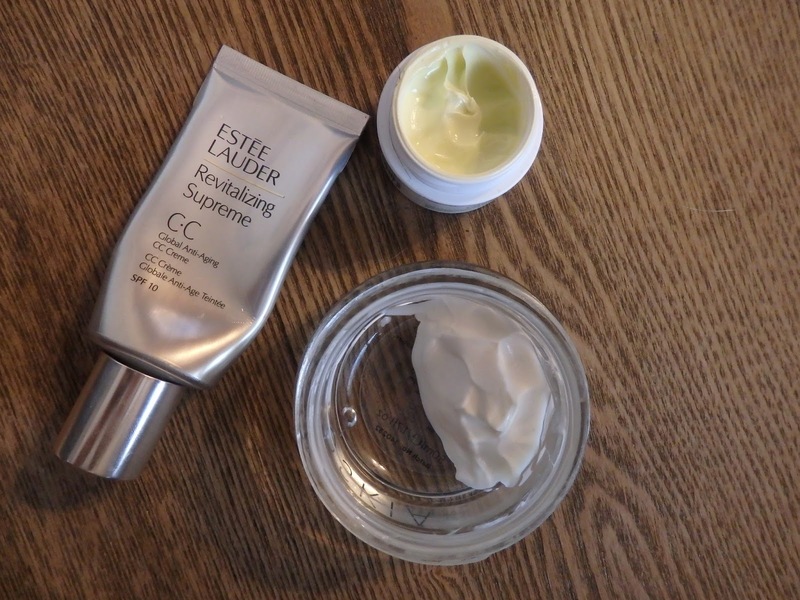 In the morning I use the Estee Lauder Revitalizing Supreme CC Cream - mouthful. This is a tinted moisturiser that leaves my skin positively glowing hence tube number 2. It has a light texture, smells fresh and is a perfect base for make up. I sometimes just throw on a bit of concealer and call it a day. Night time....we're early done! 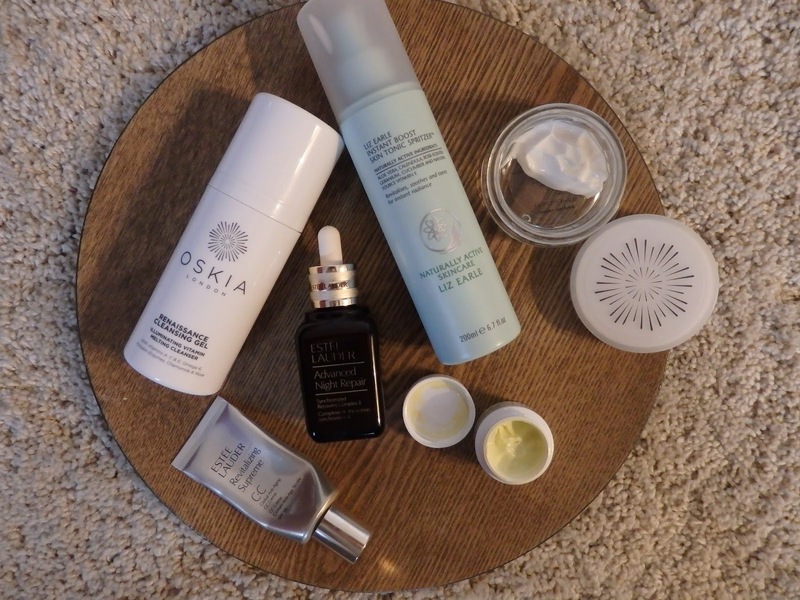 Oskia Bedtime Beauty Boost is a cozy duvet and flannel PJs for my face. It's thick consistency sinks in so quickly then its magic gets to work. I have honestly never used a night mositeriser that has actually shown me results the next day. No dehydration or pillows lines to be seen. Oskia I love you and it's nearly time for tub number two. So there you go, thank you all who made it through, There always extras I add in when my skin is misbehaving so I will be following in this epic skincare post with some honorable mentions and mask favs.